According to CD Projekt Red CEO Marcin Iwinski, big "sacrifices" would be necessary to bring The Witcher 3 to older consoles. Thanks to the launch of the PS4 and Xbox One, 2013 saw several fairly prominent cross-generation game releases. It's a practice that some developers seem happy to embrace for the time being, likely in an attempt to maximize profits as the new gaming generation takes its initial steps forward. Not every game will be receiving that treatment however and, in some cases, cross-generation releases might even be "impossible." CD Projekt Red's The Witcher 3 is apparently such a game. "[On PS3 and Xbox 360] it would have to be a different game--a smaller game, not an open-world game, or with terrible loading times, with sacrifices in graphics," said CEO Marcin Iwinski. Iwinski similarly shot down any suggestions that the The Witcher 2, which was ported to the Xbox 360 in 2012, will ever see a PS3 release. "The Xbox 360 was a more powerful and easier-to-code-on platform than PS3, so that would have taken us another year or year-and-a-half." In other words, PlayStation fans will need to wait for The Witcher 3 to finally get in on the series. While this is likely to be disappointing for a number of gamers, it's not really all that surprising. 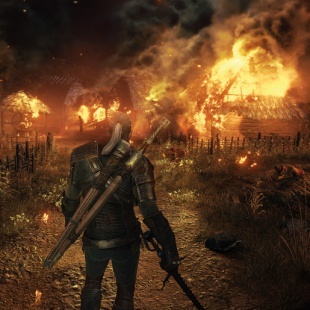 From the get-go it's been made clear that The Witcher 3 is being designed to vastly expand on the experience of the series' previous iterations. Seeing as CD Projekt Red already had to make graphical sacrifices to get The Witcher 2 on Xbox 360, it just makes sense that The Witcher 3 would be too much for the aging consoles to handle.